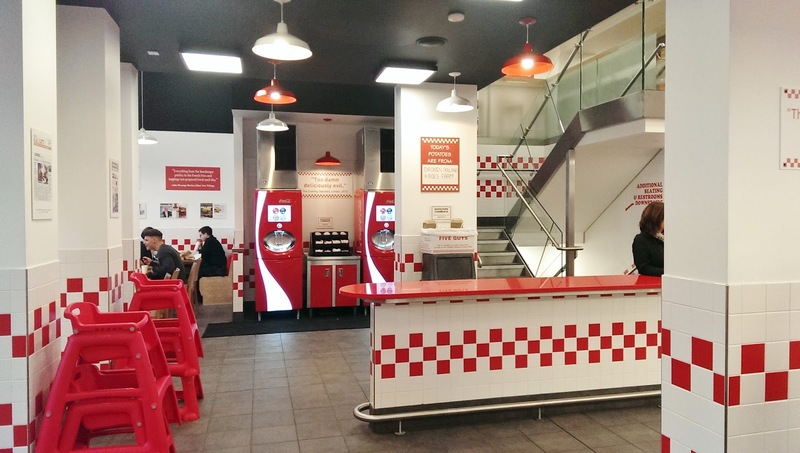 At the weekend, I finally found the time to make it into the new Five Guys in Glasgow to try it out. 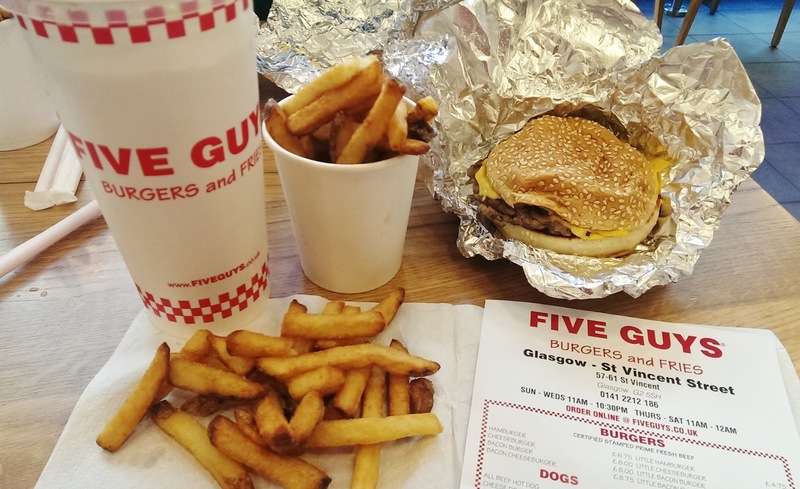 I’ve been to Five Guys before in London, and the quality of the food and the service is exactly the same in Glasgow- excellent. 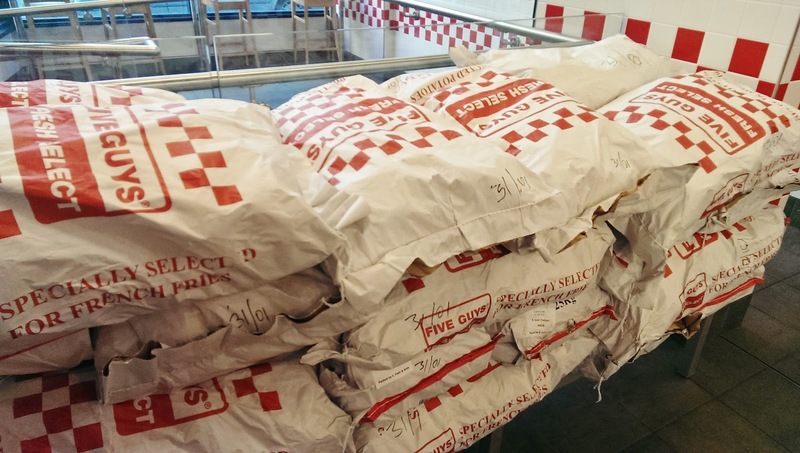 Five Guys is a famous US burger counter-service chain that makes its food using high-quality, and experly sourced, ingredients. I love their signature red and white decor, and their Coca-Cola brand soda machine with over 100 different varieties of juice. 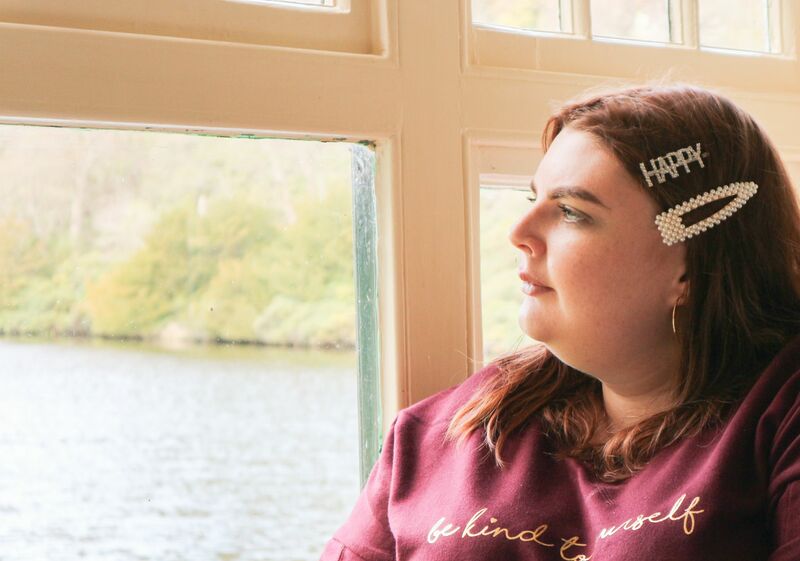 This time I went for a Raspberry Diet Coke just to be adventurous. I wouldn’t get it again; but it was nice to sample another flavour that you can’t get elsewhere in the UK. 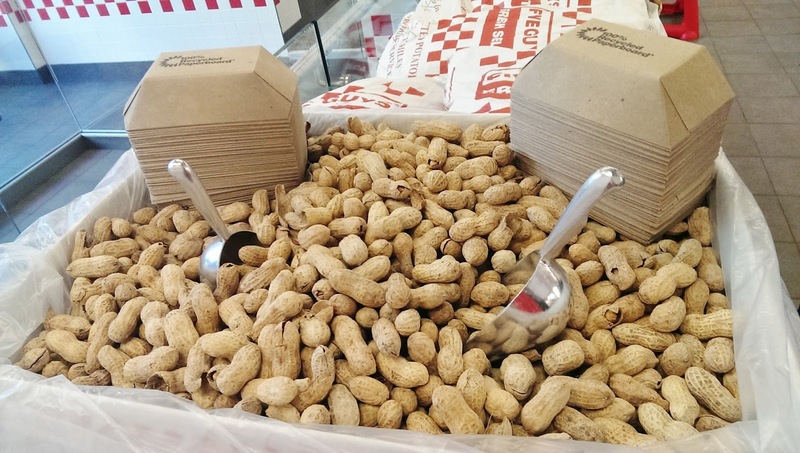 Five Guys sell their famous burgers (with unlimited toppings), hotdogs and vegetarian sandwiches with fries or cajun fries; and you can also have as many monkey nuts as you want- the place is filled with them. I always go for a Little Cheeseburger (£5.50) as this is basically the equivalent in size to a Quarter Pounder at McDonalds. 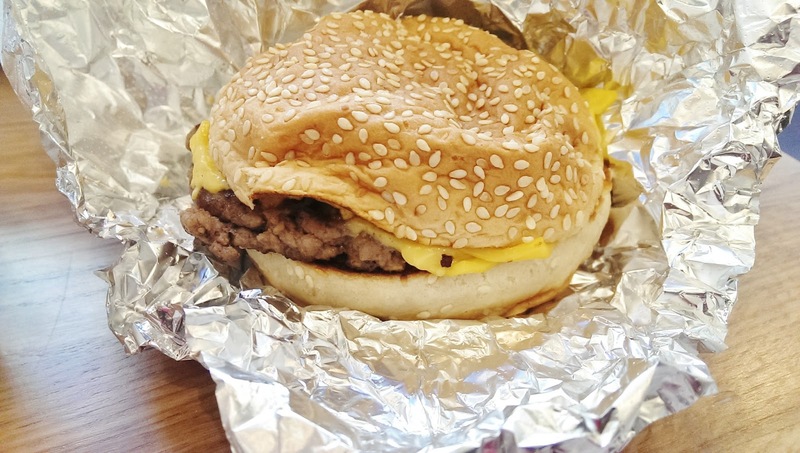 Their normal sized Cheeseburger (£8), I think would be too big for most people. 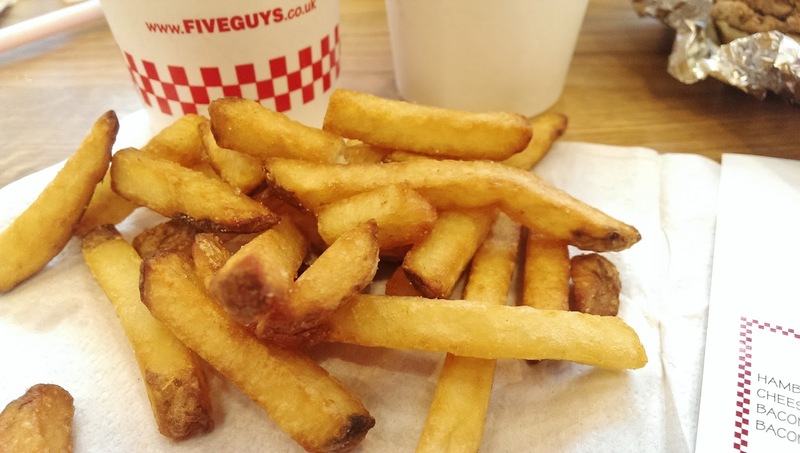 I always go for a Little Fries (£2.75) too, as the portion is huge. 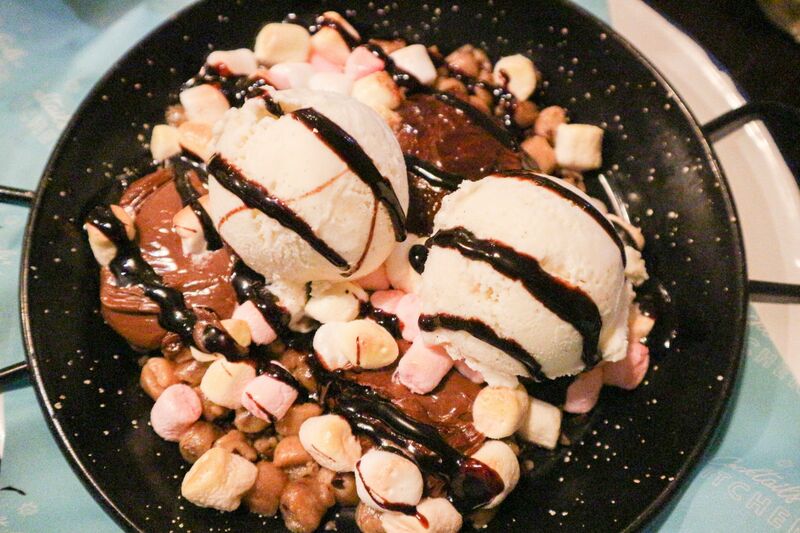 The food is so tasty, and you can taste the quality of the ingredients and the care that’s gone into making them. 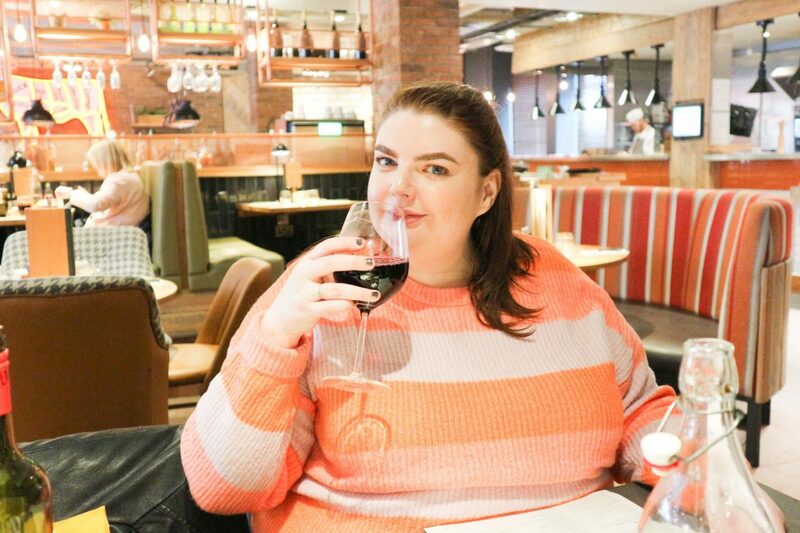 Our meal for two (two sodas, two Little Cheeseburgers and two Little Fries) came to just over £21. This is definitely way more than you would pay in regular UK burger chains such as McDonalds or Burger King. 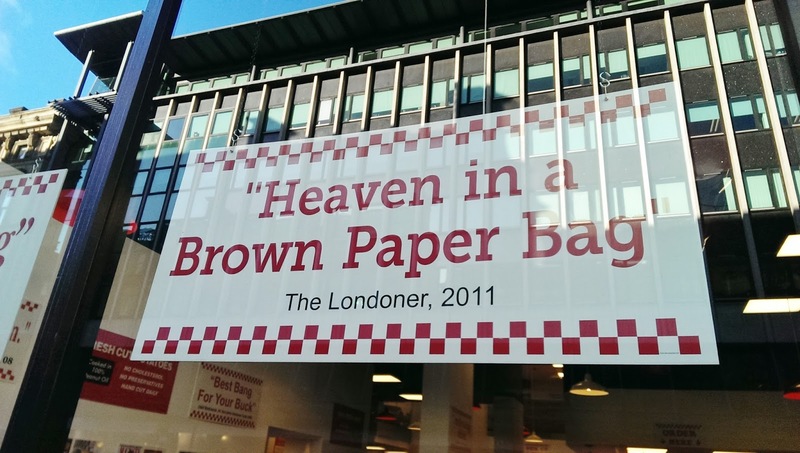 However, I feel that a trip to Five Guys is more of an experience than a quick jaunt to McDonalds, and the quality is far superior; so it’s definitely worth it as a treat. 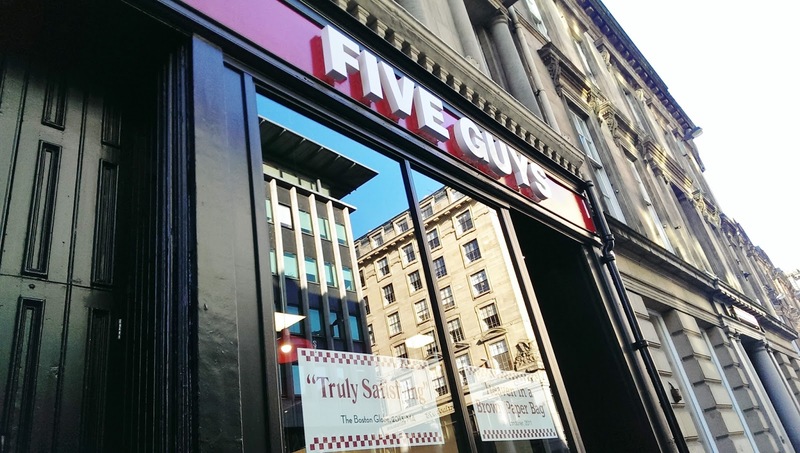 You can find a list of all the UK Five Guys branches here. I’d definitely reccommend checking one out.